Today, servers and storage devices contain massive amounts of information. To prevent security breaches, you need to identify any data that people with no business need can easily access so you can properly protect this overexposed data. You also need to a complete and secure audit trail that details who accessed what and when and where each access occurred. 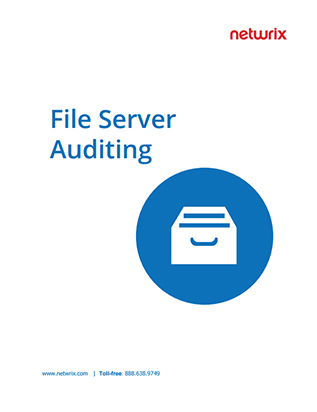 This white paper explains why effective monitoring of file server changes is critical, and details the key features to look for in an auditing solution.